Dakota Dental Health Center offers CEREC same day crowns in Minot, ND. Call 701-852-4755 to learn more and schedule your appointment. Chairside: Your new crown takes just 15 minutes to create while you wait in the dental chair. Your entire visit, including removing decay and prepping your tooth, is only about an hour and a half long. Economical: CEREC is more economical than traditional lab-created crowns. Restoration: Your same day crown restores your tooth’s strength, function, and beauty. Esthetic: Your new crown is highly natural-looking and will blend well with the rest of your teeth. 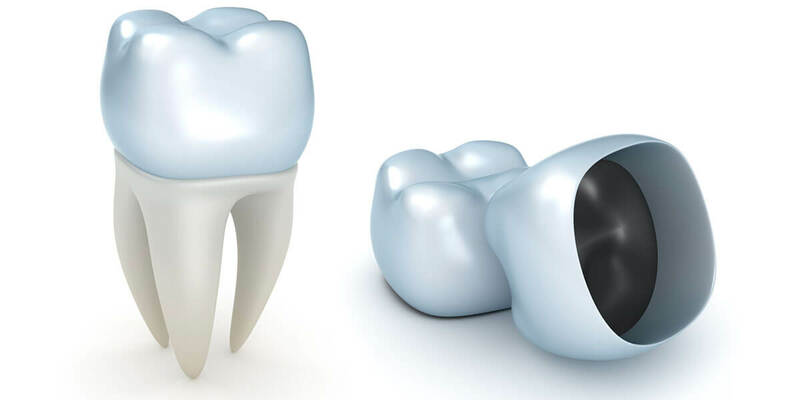 Ceramic: Milled from high-quality dental porcelain, your metal-free crown is durable and strong, and closely resembles the appearance of a natural tooth. Your CEREC same day crown is crafted from a 3-D digital model of your teeth and gums. You will watch the design process and are welcome to provide input. When you and your dentist are satisfied, we simply send the information to our milling machine, and a color-matched crown is created while you wait. This state of the art process allows us to manage the entire process ourselves through digital imaging. There are no messy impressions, and you do not need to wait for a dental lab. You do not need a second appointment. We will remove decay, prep your tooth, design and create your final restoration, and place your permanent crown all in a single visit. You do not need to wear an acrylic temporary crown, known for being uncomfortable and prone to falling out. We use color-matched, top-quality dental porcelain. With no metal, there is no dark line along your gums and no difference in appearance from your natural teeth. Whether you have new tooth decay, old metal fillings, or unsightly old crowns, we can provide a highly aesthetic and functional restoration in just one appointment. Of course, like any dental procedure, same day crowns are not right for everyone. Your dentist will carefully evaluate your mouth and make a professional recommendation for treatment. For many patients, though, a same day crown is the best way to quickly and economically treat a badly damaged or decayed tooth. To learn more or schedule your appointment, call Dakota Dental Health Center today at 701-852-4755.